For the 5th consecutive year in a row, the AIPP brings together the most inspiring and thought provoking professionals in the industry at it's annual conference, The Event. Speaker range from South Australia's own leading Birth Photographer Victoria Berekmeri to World Record Holding Extreme Sports Person Heather Swan. Along with the sessions and workshops, there is an excellent tradeshow. Our Karen Horne will be representing Atkins at booth number 27. Call in to see our latest products and have a chat. The 2014 Event is being held on the Gold Coast his month, and there are still positions available if you wish to attend. Link to The Event 2014. Q and A Photo Podcast is back on air! After a 5 month break, the Podcast from the Black Market Network featuring Paul Atkins is back on air with the 20th episode. Paul and host DJ Paine discuss everything photographic, with the aim to promote professionalism and getting the best out of your photography. Tune in for tech, tips, tricks, gear, clear explanations, geekery, and fun. The Three Marketeers in Adelaide. Join Andrew Harrison, David Watson and Steve Saporito, 3 proven marketing maestros as they show you what you can achieve to grow your business, book your session today. Are you struggling to work out if social media or Facebook is delivering results? Are you struggling to get the clients you want to book to show any interest in your service? Do you know you could be doing it better but don't know where to start or how to optimise your efforts? Is your website in need of an overhaul to turn it into a sales and lead engine?. If you answered yes to any of these questions then this amazing new seminar series by the 3 Marketeers is for you and your business. Each seminar and masterclass is suitable for all photographers, regardless of what stage your business is at. Day 1 is a seminar day and day 2 is a master class with limited spaces. Cost: 1 Day, early bird rate: $99, normal rate: $199. 2 day $495. In Hobart Tasmania the AIPP are holding their annual national conference starting this Sunday. Atkins has a stand in the trade hall, pop by to say hi to Karen whilst you indulge in this fantastic four day event. The AIPP Nikon Event is Australia's largest photographic conference, with the photography community gathering from all corners of the country for the 4th consecutive year running. The 4 day Event will be held in Hobart from the 16th - 19th June 2013. The Event is run by photographers for photographers to foster the growth of the photographic industry, and is packed with keynote speakers, interactive workshops, networking opportunities, social events and a sponsor expo. 2013 will deliver some of the worlds best, most accomplished and inspiring photographers who will share their expertise, insights, stories and inspire you no matter what stage of your photography career. For portrait, wedding and family photographers, deciding what products to offer clients can be hard. Then you have decide what to charge! Come and listen to 3 successful SA photographers share their approach to these key questions: Simone Hanckel, Mark Trumble and Glen Dealtry. When: Tuesday 16th April 2013 | 10.00am - 2.00pm Where: The Edinburgh Hotel & Cellars, 7 High Street, Mitcham, 5062 Cost: Members $45, Non-members $70 | Price includes morning tea and lunch. Click here for registration and more details. Always wanted to create a wedding album, but don't know where to start? THIS IS FOR YOU...NEXT TUESDAY DON'T MISS OUT! Always wanted to create a wedding album, but not sure where to start? Already creating them, but finding them too time consuming? Allow your wedding photography business to blossom by introducing the most effective up-sell to your services - the wedding album. 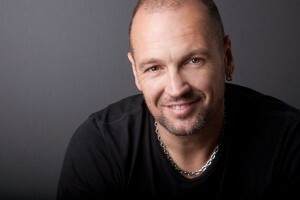 André Agnew, 2010 and 2011 SA Wedding Photographer of the Year will show you his workflow from A-Z. Learn how to lay-out totally unique, 20-page album designs in 20 minutes. Worried about OH&S and insurance when employing an assistant? Stay for lunch after the seminar, to catch up with friends. It'll be a great social occasion too - our first for 2013! Off to the "Hair of the Dog"
This weekend Brisbane will the centre of education as the AIPP national seminar, the Hair of the Dog hits town. I will be up there as Atkins are Gold Sponsors of the AIPP and we have a booth to show of our gorgeous products. I hope to see you there! The 2013 Summer School ended today on such a high note. A room packed with professional photographers discussing business models, pricing and product, it was such a warm event, it made me feel very grateful to be in this industry. The recording will be published in the near future. Thanks to everyone who participated this year, it was the best yet. During the last days of January we offer a series of short courses presented by working members of the industry. The objective is to provide attendees with a head start down the correct path for their area of interest. Our Summer School is not accredited, and is not a thorough in-depth course, but you will find it enormous value. A great way to kick start 2013. Cost to attend is $20 per session, payable when booking. Friday, January 25th, 9.30am - 12.30pm - Basic Photoshop. Where do I start, what do all those icons mean, what do I need to know, what don't I need to know? This popular half day session will get you rolling in Photoshop. Presented by Mel Neumann. Tuesday, January 29th, 9.30am - 12.30pm - Managing large quantities of digital images - using Bridge, Lightroom, metadata, hard drives, and the cloud. This is the big problem of our generation. What is the best you can do right now. What are the tools, how should you use them. Presented by Paul Atkins. Wednesday, January 3oth, 9.30am - 12.30pm - What does it take to run a successful, profitable business in professional photography?.....If you can only work a 4 hour day and are restricted by family commitments, what should you spend that time each day doing? Getting clients, shooting,editing, selling, counting your money? How do you balance enjoyment against income and feeling guilty about editing? The speaker has been doing this for 30yrs with Gainsborough Studio and now spends most time doing personal consulting to help people develop a niche in the marketplace. Norman says "I find people have too much information from unrelated sources which leads to confusion. I will help you to sort out what's important and prioritise your activities to fit your personality and lifestyle. In this way you can be happy and achieve your goals whether they be financial or family focused. In addition Norman will give each participant a free 15min phone consultation, at a later date, to help put your thoughts in order and answer any personal questions you may have. Presented by Norman Weedall. Thursday, January 31st, 9.30am - 12.30pm - Photoshop for printing - preparing images for both efficient production and fine art prints. The preparation of work for production has to take less time than work for portfolios or fine-art, you simply cannot spend the time on 600 images for proofing that you could for one award print entry. We will go through how you approach both tasks to get the best results. This session will demonstrate workflow tips and tricks in Lightroom, and Photoshop. Presented by Paul Atkins. Friday, February 1st, 9.30am - 12.30pm - Wedding photography business models - The objective of this session is to compare the product based model, where clients receive albums and prints to the disk delivery model where clients receive all of the files on disk but no prints. It will be a carefully moderated session where each model can be discussed, costed and properly evaluated. Open discussion chaired by David Sievers. Jesh is a world renowned speaker on Wedding and Portrait client engagement. He is speaking in Adelaide on November 9th 2012. Jesh as a big fan base. Click here to book. Whilst driving back from this fantastic event in the Hunter Valley, I killed the hours catching up on podcasts and chewing over what could be learned from such a gluttons' feast of information that The Event was. As sometimes happens "Roderick on the Line" was my first queued podcast. John Roderick is a Seattle Indy Rocker, with a bizarre mix of towering ego, deep intelligence, wet yourself humor and espouser of common sense. It was great timing because John's podcast started with a story of how a deeply domesticated ribbon wearing Dachshund lept from the arms of its unsuspecting owner to chase a sewer rat down a hole. The dogs gentle owner could only stare shocked as the rat and the hound accidentally bumped into each other and it threw the primeval switch on the dog. The owner had 'never seen that behaviour before' just as all dog owners say after that switch is thrown. The story of the dog's switch being thrown reminded me of what many of us are looking for in life; "What was I put on earth to do?" And many of the speakers I saw at The Event clearly know their answer. They know their rat, what is instinctual to them, what makes them happiest. The lineup of speakers for this AIPP annual conference was breathtaking, The Event is now world class, and attracts real talent. I'll define people with "real talent" as those who have dedicated themselves to their craft, and have pushed it all the way. They were not 'discovered' like so many of the celebrity generation, they have worked to this point, they have sacrificed, reinvented, and slogged their way to the top without a lot of second guessing or complaining. A few speakers were still climbing, but in all of them, you could see them chasing their instincts like that dog, following where ever they led.